Recently Grahm Cochrane over at the RecordingRevolution.com covered this topic on Twitter with a link. To give you the brief overview, his method is to stop when your head is bobbing, when your feeling the music and not just analyzing the mix. For more insight and a ton of wisdom head on over to his website and give that post and many others a look. Now, another method that I have learned is note taking. It is geeky, and thus why I love it! 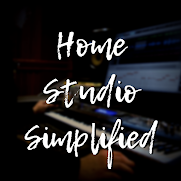 Joe Gilder over at the HomeStudioCorner.com kicked down this method (I felt cool when I said, "Hey, I've been doing that! "), but he went a step further to explain the whys of note taking to his listeners. Great stuff! What if you don't like the song? What if you LOATHE the song?! In this case it will be nearly impossible to bob your head, and note taking... Well, turns into doodles of you with a shotgun pointed at your computer. So what do you do?! You've gotta make money right?! Or maybe this is one of your own. (It happens) Well here are some tips from some guy in a small town with big dreams. 1) If it is your mix and you don't like the song, move on. No one will be hurt and you may save yourself some embarrassment. You're actually doing yourself a favor, because the stuff you love to mix comes out WAY better anyway. If it is a clients, one option is to ask to hear the stems of the songs your asked to mix before you agree. This could save you time and money as well. Then you could work on something you like, get better results quicker, and move on to the next job. It's good practice anyway, considering most people like to give you recordings that are not useable. 2) If you can't bob your head, note taking is going to be the only way thru it. Listen critically, write down what needs changed (without touching a mouse or keyboard) when it's played through, make only the changes you've wrote down. Rinse and repeat till there are no changes left. Then run it to the client in a ziplock baggie with rubber gloves! 3) The last option is to take breaks. Mix something else, then come back to it. Don't take so many breaks you conveniently forget to mix it and give your service a bad name. 4) Overall, your time is valuable, you only have so much of it. Don't involve yourself in things that will drain you of your time and happiness for the sake of making a dollar or two. It IS ok to say no to a client, if done with humility and kindness it may even make them come back with a better recording. So in conclusion, the methods of reaching the end result of a finished mix are still the same as before. But, if you can't stand the mix, you still need to make informed decisions and give it your best shot, or simply don't take the job. It would be much better than producing work you're not proud of or could drive away work later. Be true to yourself and to your style.